Police are investigating after 54 hay bales were vandalised at the farm at Guardbank, in Torrance’s Acre Valley Road. The bales were cut open at some point between 6pm on Friday, April 14, and 8am the next day. It has exposed the bales to air which renders them useless unless used immediately. The bales on their sides were all sliced open with a deep cut and the internal netting also cut making them difficult to move. The ones on their end were all cut with a circular cut from above in a similar manner. A spokesperson from the farm said: “I am if the opinion that only someone with an awareness of haylage and horses possibly would carry out such a malicious act”. The stables are the base of successful Scottish under-18 event rider Lewis McLean. The incident has resulted in a show of support from the horse community and local farmers with horse owners offering to buy bales at the time to prevent them from being totally wasted and overwhelming support from the farming community. 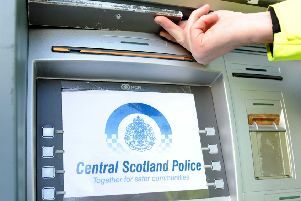 The incident has been reported to Police at Kirkintilloch who have promised to give the location extra patrols, and security measures in the form of CCTV and extra lighting has now been added by the owners. The owners are liaising with police Scotland with a view to forming a Farm Watch scheme in the area.